The Hy.ly Multifamily Suite is the only Marketing Automation Suite designed exclusively for the Multifamily industry. Each product is powered by a central Big Data Store so that it can be smart, simple and scalable. And, yes, you can start with just one product and expand as your needs grow. Does Google Like your Community Site? Double booking has been a hot topic as of late (Think: United Airlines ). While double booking tours for multifamily isn’t quite that dramatic, it’s still an issue. We have mapped out the three levels of maturity for handling tour scheduling (separate calendars, shared calendar, and a universal calendar). Let’s take a closer look these scenarios. When you have separate calendars for booking tours, it is easy to book two different prospects for the same time slot. Call centers and on-site agents can’t easily see what has been booked by the other. Not only does this create an awkward situation, it gives the impression your PMC is disorganized and that your customers are not a priority. Not exactly the first impression you are aiming for. You don’t want to leave your prospects waiting because of your mistakes. As the workflow above shows, a property at Level 1 has a disjointed scheduling system. 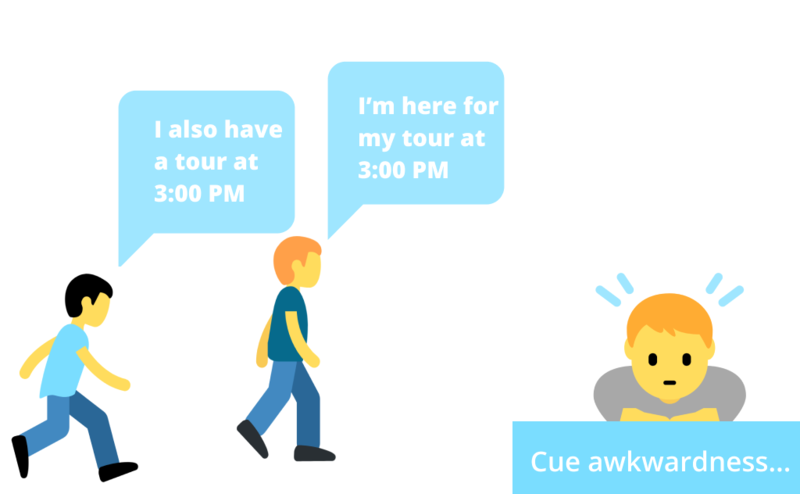 Plus, prospects can’t schedule tours directly. They have to call or visit the property during office hours to book a tour. 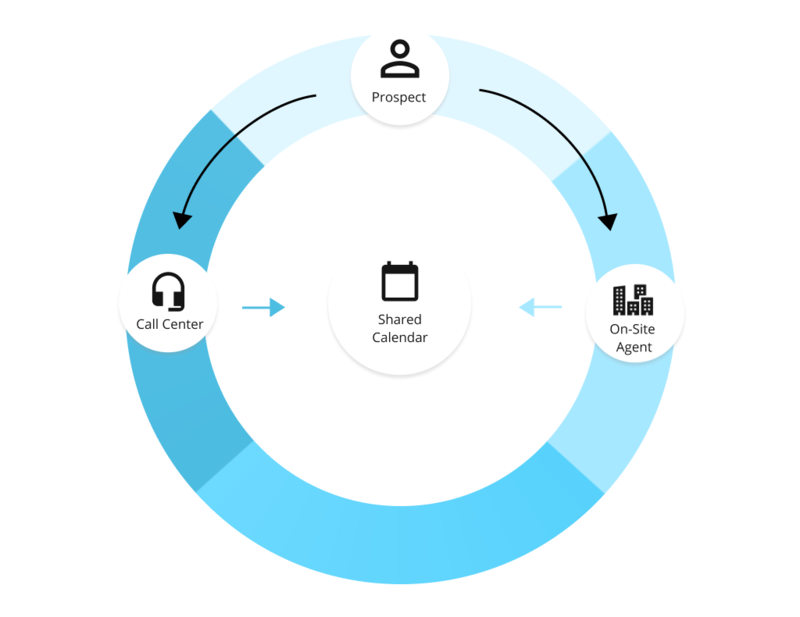 At Level 2, a property has advanced to sharing a calendar between call centers and agents. By sharing a calendar, you have fixed the double booking issue. This sounds good in theory, but it doesn’t put the customer first. Every customer still needs to call or visit to schedule a tour. We don’t know about you, but we don’t have much patience when it comes to phone-based interactions. Limiting your booking options is going to discourage prospects from touring your property (especially if they can easily schedule a tour with your competitors). I think we can agree neither of these options sound all that appealing. 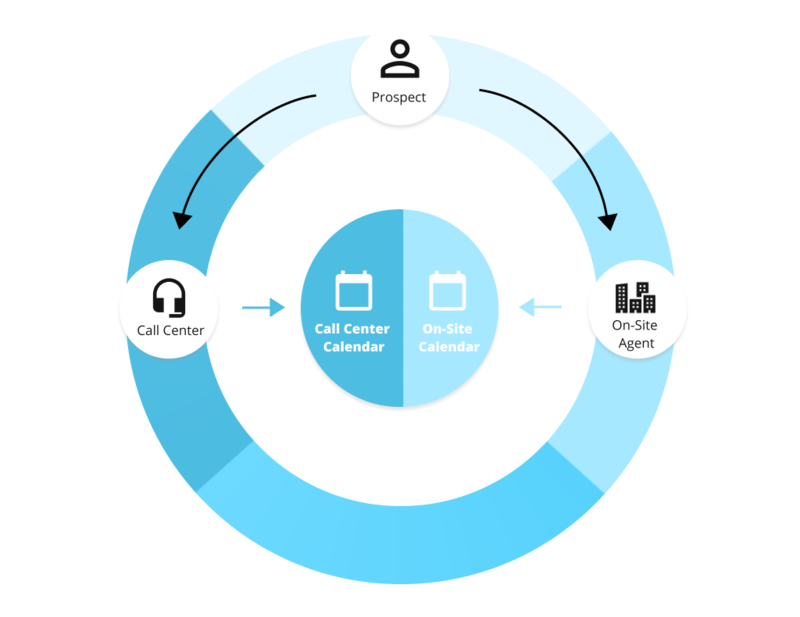 As the late great Dr. Seuss would tell you, “Sometimes the questions are complicated and the answers are simple.” A universal calendar gives prospects, agents and call centers the ability to schedule tours through a centralized calendar. A universal calendar is an online calendar that can be used by prospect, agents, and call centers. This system eliminates the risk of double booking tours because everyone can see what has been booked already. Plus, your prospects will love having the option between scheduling online or over-the-phone. As an added bonus, a universal scheduling tool will open up more options for booking tours. You can easily add an online tour scheduler to your website, ILSe’s and even add scheduling links to your social media bios! The result? No more after hours tour scheduling calls and you get more tours… now that sounds pretty good to us! Now that you have more in-depth knowledge of the maturity levels associated with tour scheduling, you can decide where you want your company to be. We want to hear what you think! Share your thoughts about the 3 levels of maturity for tour scheduling. Subscribe to the Multifamily Minute for weekly updates on multifamily insights, trends and tech!